2018/21/12 – Mali announced it will be sending reinforcements to the northern Timbuktu region and will create a new border guard corps amid growing concerns about security. 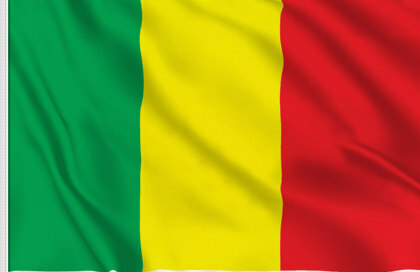 A total of 350 police officers, paramilitary gendarmes and soldiers will be deployed, Prime Minister Soumeylou Boubeye Maiga told reporters in Bamako on Saturday, December 15, after he returned from a visit to the area, AFP reported. He did not specify when the reinforcements would arrive, but his office said they would be deployed at the beginning of 2019. Maiga said the government would also set up a new border guard corps next year, and increase logistical support for the security forces. During his visit north, local people told him of robberies and the theft of vehicles which had made the region less secure. “They are bandits, allied to terrorists who commit these robberies,” Maiga told them. “Everyone must decide which camp they are in and help the security forces,” he added. The recent unrest in Mali began with a 2012 Tuareg separatist uprising against the state, which was exploited by Islamist extremists linked to al-Qaeda who took key cities in the desert north. The French mission evolved into the current Operation Barkhane, which has roughly 4,500 French personnel deployed with a mandate for counter-terrorism operations across the region. Three RAF Chinook heavy lift helicopters based in Gao have since August supported French troops in Mali, and 50 soldiers from Estonia’s Estpla-26 infantry team are deployed in Gao in a force-protection capacity. Troops deployed to Barkhane work alongside the United Nations’ Minusma stabilization mission in Mali, which began in 2013, has about 12,000 troops and 1,750 police deployed, and the G5 Sahel joint counter-terrorism force that aims to train and deploy up to 5,000 personnel. In October, two UN peacekeepers were killed and at least nine others injured in two attacks in central and northern Mali, while in April, a complex attack on the international “Super Camp” neighbouring Timbuktu’s airport left one U.N. peacekeeper dead, a dozen wounded and another dozen French soldiers hurt.